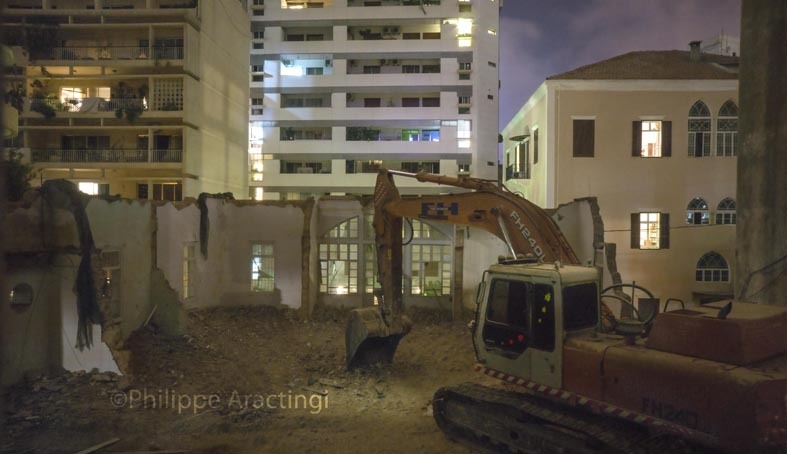 Philippe Aractingi’s new exhibition of photographs and videos titled «Obsessions», not only provides fascinating glimpses of Beirut past and present but also highlights the depth of his feelings for the city. Philippe Aractingi tracks the changing face of Beirut over the decades while revealing the award-winning filmmaker and photographer’s deeply personal and obsessive, 30-year love affair with the city. The exhibition produced by Nadine Saddi Zaccour and curated by Marine Bougaran, opened last night at 3BEIRUT and runs until September 25. It features a series of photos that capture the spirit and soul of the city at moments in time, alongside an installation on the same theme, made up of three videos that run simultaneously. In this, Aractingi takes the audience on a visual journey through Beirut’s recent history, inviting them to consider the fragility of «that which does not last», while laying bare the range of emotions that the city and everything it has endured, stirs up inside him. He notes: «I’ve photographed Beirut as a photographer would his lover, with the passion bordering on obsession. Day or night, whether it is calm or cooking up a storm, its fragility and resilience, its soul and essence, its femininity, its effervescent nature and everything that it is makes Beirut my muse…». War and ceasefire, destruction and reconstruction, beginnings and endings, loss and rediscovery, and love and fear are among the themes explored in this diverse range of works. 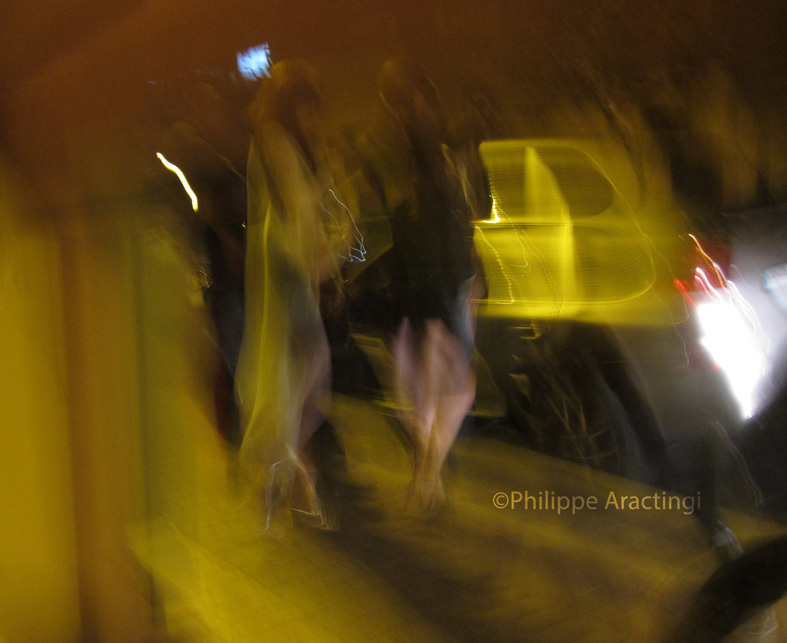 The common thread is the temporary air that each piece exudes, from the digger at work, to the party girl making her way home, shoes in hand, and the densely populated, lit apartments, where everyday routines are underway.